The noblechairs ICON has certainly impressed us here at Vortez, offering incredible build quality and a sleek and elegant look. The ICON is bound to last the test of time and is more than comfortable enough to use for 10+ hours a day. The 2-year warranty offered by OverclockersUK is also good, compared to many 1 year offerings. 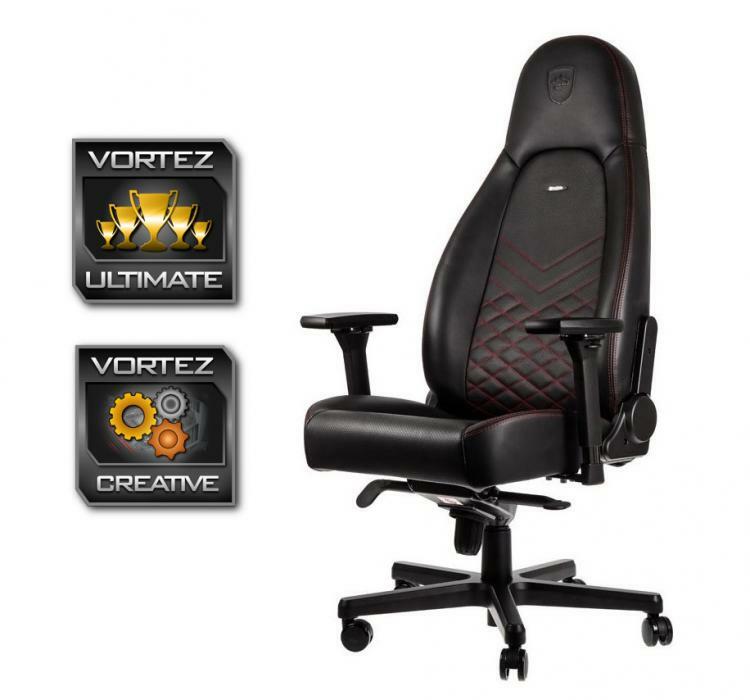 The price may seem a little steep, available from Overclockers UK for £329.99, but the comfort more than makes up for that – the ability to adjust the height, the angle of the backrest from 90° to 135°, along with the 11° of motion from the rocking mechanism mean it’s possible to almost lie down entirely flat in the chair. The only issue with the ICON is the lumbar support cushion – there’s no method of holding this in place, once a comfortable position is found. As soon as you stand up, or even lean forwards, the cushions needs to be readjusted. The Ultimate award has been given due to its next-to-flawless performance, with the only minor issue being the lumbar support cushion. We’ve also awarded the Creative award due to the design, so many manufacturers offer the “racing chair” design, with some minor tweaks, but noblechairs have taken this back to the drawing board and offered a truly different look.